There is no standard definition of focusing in photography. In layman’s term we can just say its a technique where subject of photograph should be sharp enough to distinguish from rest of the image. Here in this blog we will understand Focusing Modes In Photography Explained for Beginners. 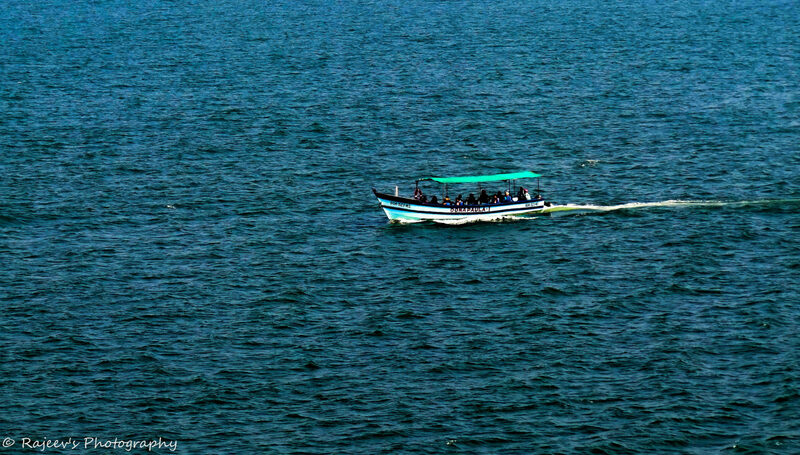 Its more like, the part of photo which you want to see should be super sharp and apart from this rest all can be sharp or blurry depending on your style of photography. Something like this. Focus on your main subject and de-focus everything else. So in this post we will see how to achieve sharp focusing and different focusing modes as well. As it sounds, its automatic focusing technique where you rely on camera program on focus on subject. And if you don’t get the desire focus then you can re-compose image again accordingly. This focusing mode is obviously very quick because you don’t have to change anything manually for this. In this focusing technique we use the camera outer ring to focus on desired subject. 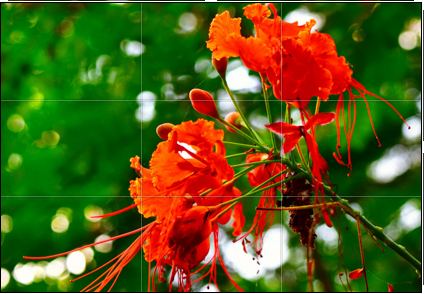 For the best result you can use viewfinder to see how camera is switching its focus from one point to another. There is little or no contrast between subject and the background. Here camera generally unable to find the subject and exactly at which point it has to focus. when you are shooting through mirror or a gate then Auto focus doesn’t work properly. When subject is in half shade and half in light. And When subject is too small too focus like in macro photography. AF-S is good for stationary subject which doesn’t move like flowers or portraits. When you will click the half shutter then camera locks the focus. After this you can either click the full shutter to get the picture or again re-compose image to get desired click. In this focusing technique camera will focus on moving subject. This technique we can use to click pictures on race tracks or any running animal. Focus will be locked on subject so long as your shutter button is held half way down, even if subject moves inside the frame camera will not loose the focus. Camera keep switching between two modes, AF-S and AF-C. If subject is not moving then automatically it will choose AF-S and if it detects subject is moving then it switches to AF-C focusing mode. Its a default mode unless you change it explicitly. Now the question is why need AF-S or AF-C mode when we have AF-A. Because many a times photographers don’t trust the camera to pick the correct setting. You are clicking a portraits of your friend. Then in this case it will be in AF-S mode as subject is standing and not moving. Now suppose suddenly one running kid comes inside the frame. So now camera gets confuse whos the main subject ! your friend or that running kid ? There are chances where camera can switch to AF-C mode detecting kid is moving., but that’s not what you want. This is the reason why we have all 3 modes as useful as any. It depends on lighting condition and how the subject is stationed. Most of the entry level DSLR like NIKON D3300,D3400 series has 11 focus points. As you go up in higher models, you will get more n more focus points up to 39 or more. More focus points helps lot in fast focusing and focus tracking moving or running subject. DSLR with less focus points may struggle while shooting pictures of birds or Formula one cars. 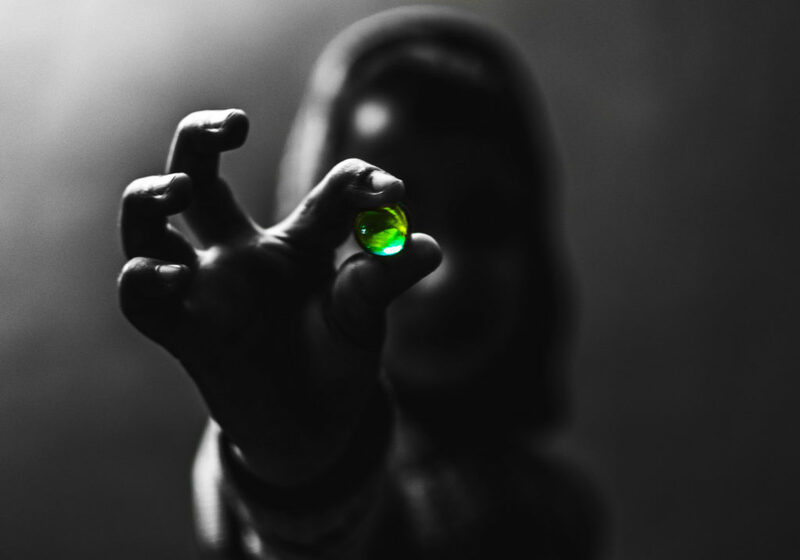 How to Select Correct Focusing Point? 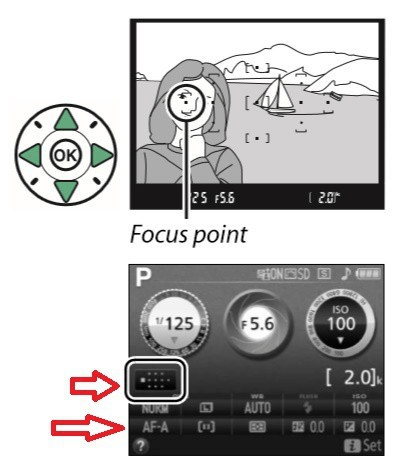 To display focus mode options press the i button on the camera body (specific to Nikon) which will highlight the current focus mode in information display on the screen. Choose it and press OK. Then select desired focus mode using left or right navigation button and press OK again.